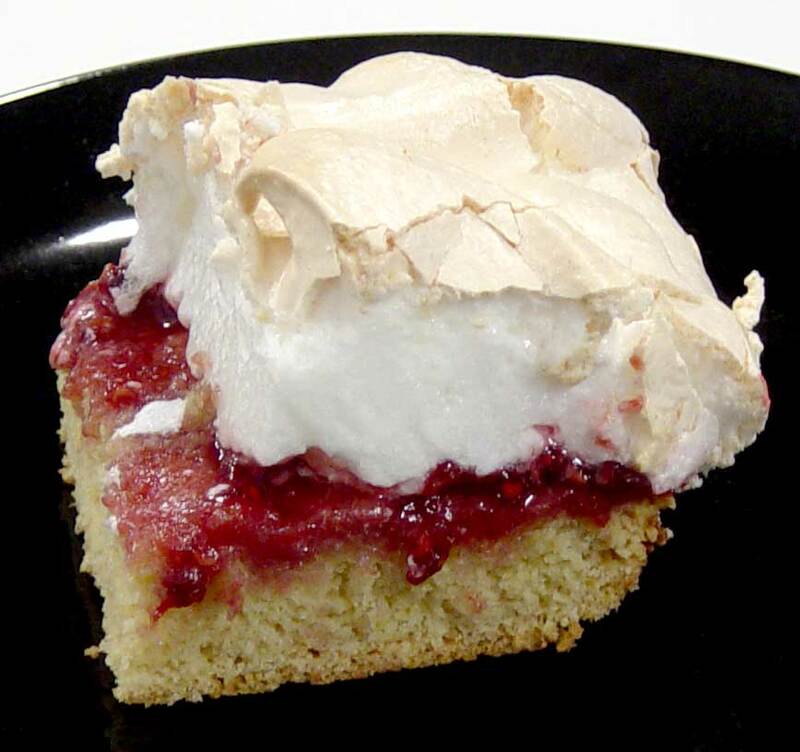 Video Recipe - A mixture of meringue and raspberry jam on a base of cake. Yeah I know ... marmalade in grandpa's beard may sound a little yuck, but it's not a cake that becomes very old in my house. I have no Idea why the cake is called "Grandpa's Beard", but it is the direct translation from the Danish name. Mix the dry and the wet ingredients together. Mix only until all of the flour is wet and most lumps are gone. Bake for 15 minutes at 175°C (345°F). Spread the marmalade over the cake base in a single layer. Put some of the sugar, the egg whites and the lemon juice into a bowl and whip it. When the whites begin to stiffen, then pour in the rest of the sugar, in a steady stream. If you use a stand mixer it is not that important. The whites are going to be beaten enough anyway. Spread the meringue over the cake bottom. Covering all of the marmalade. Bake for 15 minutes at 175°C (345°F). Until the meringue is golden. The lemon juice gives a firmer and more solid meringue. The same effect as if you whip the whites it in a copper bowl. It does nothing for the taste and is optional.